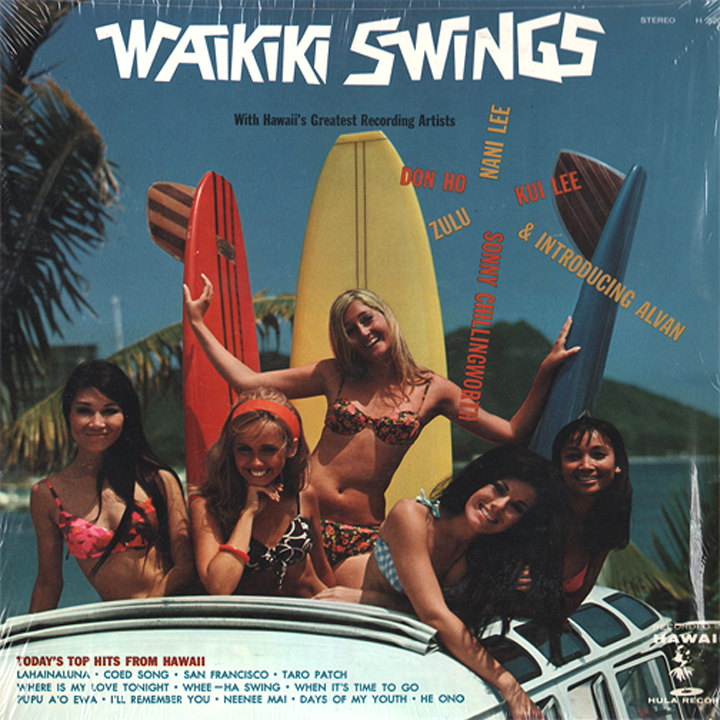 “Waikiki Swings” With Hawaii’s Greatest Recording Artists Don Ho (of course), Nani Lee, Kui Lee, Zulu (! ), Sonny Chillingworth, and introducing ALVAN! Time to… body surf! Venture that? “Zulu as Kono” Zulu? Gotta hear that wiki wiki . . .
Is that a VW microbus those surfbroads are in? I can hear the sound of the waves calling…Alvan? ALVAN! Alvan? Where’s Siman and Theodare?? And not a tattoo that we can… see! ….—–====>>>>> SURF’S UP!